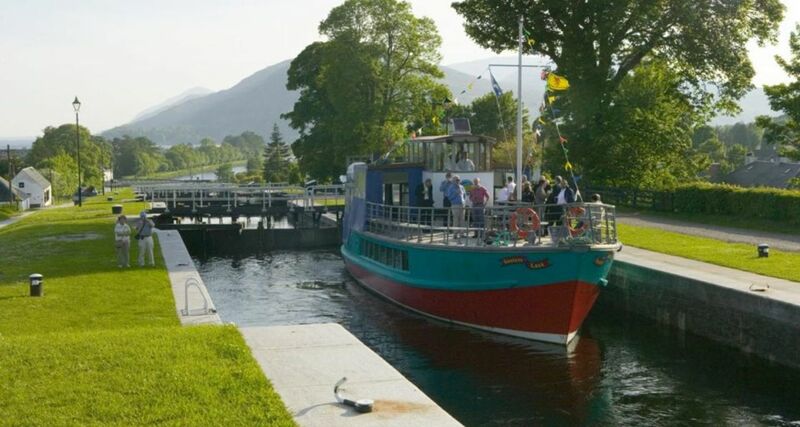 Banavie is a pleasant village by the Caledonian Canal, about 4 miles from Fort William town centre off the A830. 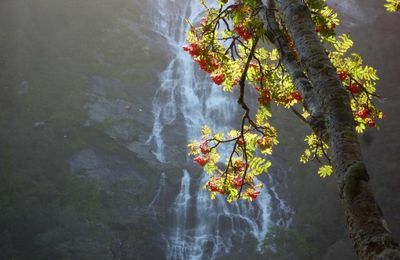 The village has a number of bed and breakfast, guesthouses, self-catering and hotels. 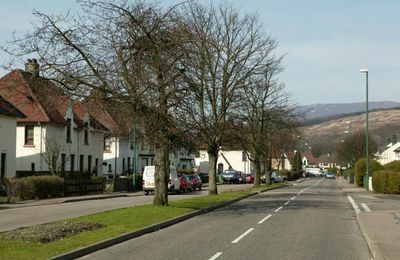 Banavie borders onto the village of Corpach. The scenery around Banavie is exceptional with Ben Nevis dominent in the skyline. 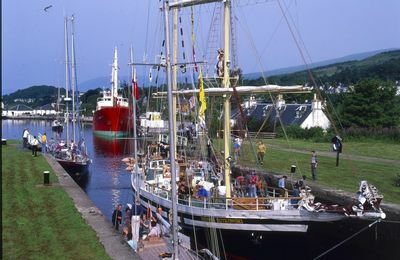 The Caledonian Canal passes by the village at Neptune's Staircase, which is a set of lock gates that raise vessels into Banavie upper canal area. Visiting boats and yachts are welcome here. 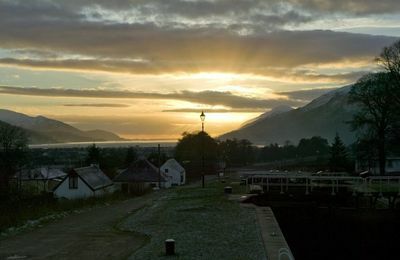 Banavie has a train station which is part of the West Highland Line between Fort William and Mallaig. You can get on a train from anywhere in mainland UK and finish up at Banavie and walk off the train into the finest scenery. 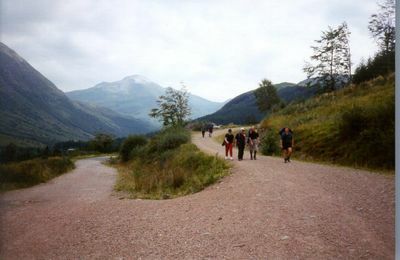 The Great Glen Way walk passes through the village as walkers take the old tow-path route along the canal bank to Gairlochy on their way to Loch Lochy and Loch Ness. The old tow path is very popular now with cyclists who can get all the way to Gairlochy, near Spean Bridge by bike. 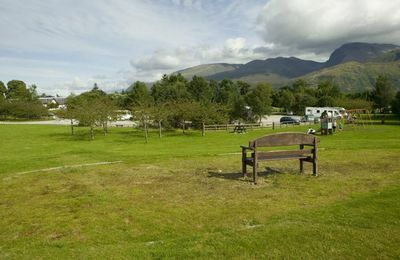 There is a spacious free carpark at Banavie and a children's play area. 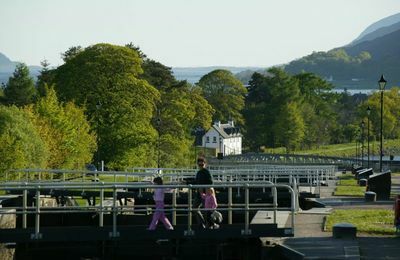 A short walk from the car park leads to the Canal lock gates, where one can spend time watching vessels navigate the Caledonian Canal. It's a nice walk or cycle from Banavie into Fort William via Caol village, or visa versa. 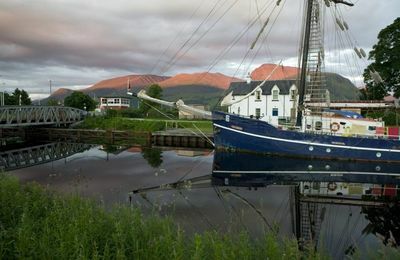 On clear days at any time of year, Banavie is often a good place to enjoy evening views of Ben Nevis and Fort William with strong side lighting. Lochaber Rugby Club has its clubhouse and playing field in Banavie. 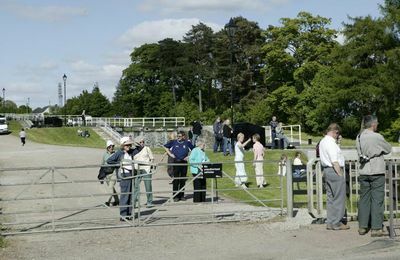 The Moorings Hotel and Restaurant is located by the Canal and the free car park. 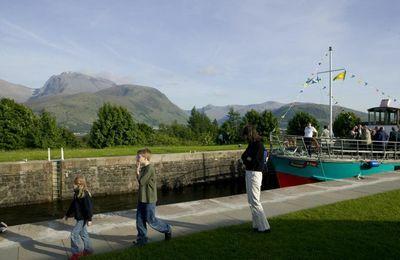 The hotel is one of Fort William's more popular wedding venues and has a high reputation for quality accommodation and dining. Banavie based businesses are listed below and on the right, a selection of Fort William area places to eat. 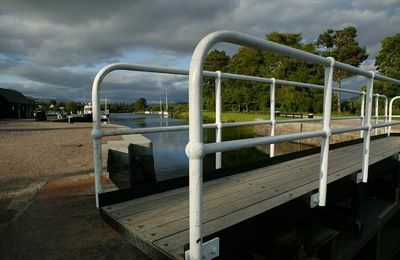 a very pretty part of the Canal..
a short cruise to Banavie Locks. where the A830 and trains go by..